A week later and the cloud conditions are perfect. Low clouds over the land but nothing over the ocean. 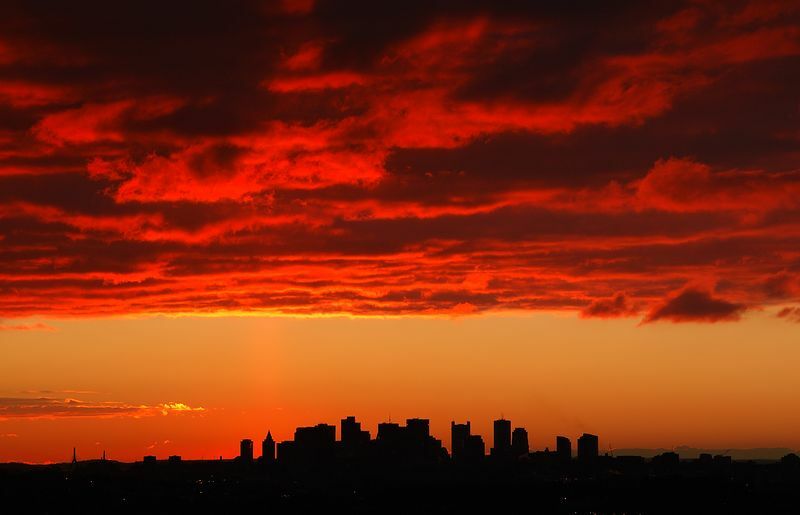 This is a picture of Boston a few seconds before the sun appeared over the horizon. Taken from Robins Farm in Arlington.